Along the lines of one I sent you awhile back. 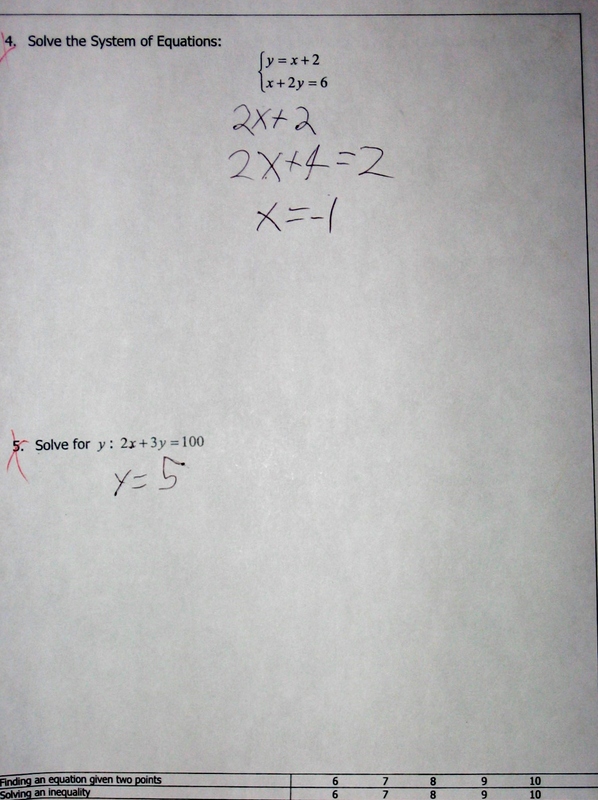 This is one of my best students, and several other students gave answers with similar misconceptions. I pretty much ignored it last time it came up, thinking that it was an anomaly, but I think it’s a significant hole in my students’ understanding. Students were using calculators today. 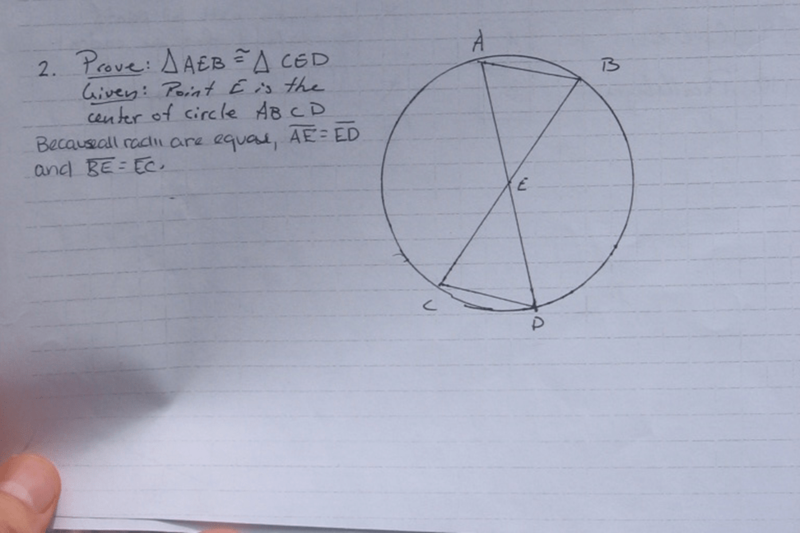 What’s going on here in the student work? What’s the connection to the earlier post? 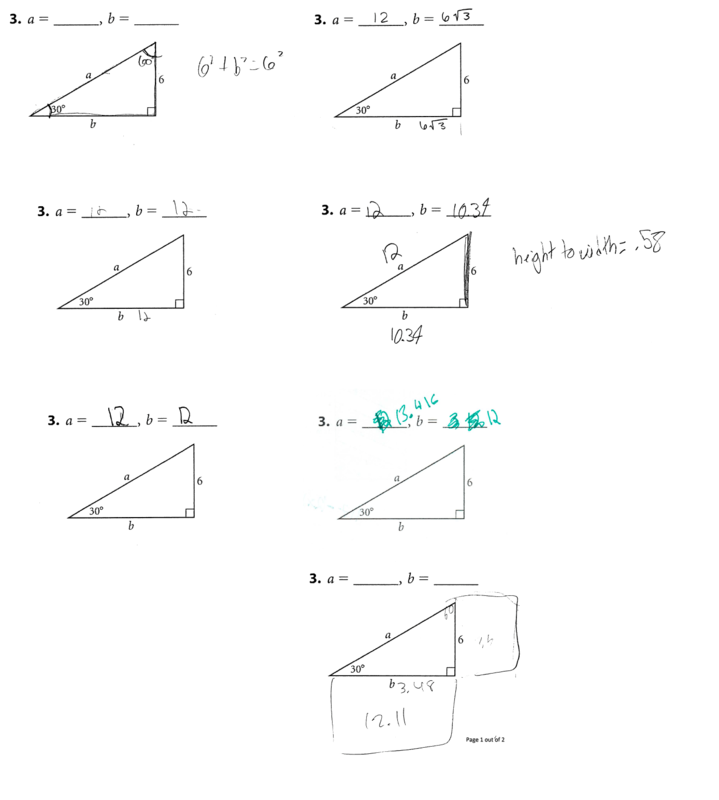 Posted in Decimals, Geometry, Similar Figures, Similarity, Right Triangles and Trigonometry. 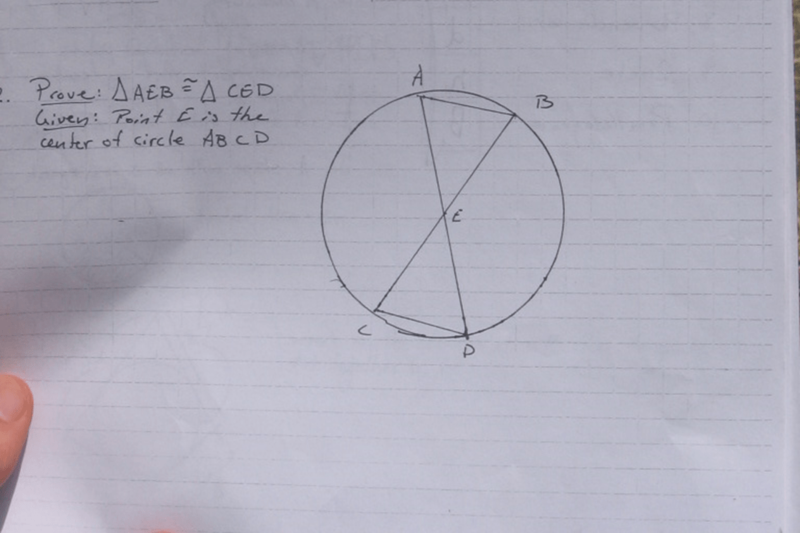 Why does this student think that ln(e) = x^1. Or did I get that wrong? Are there ideas that “feel similar” that he’s confusing, or is it something else? 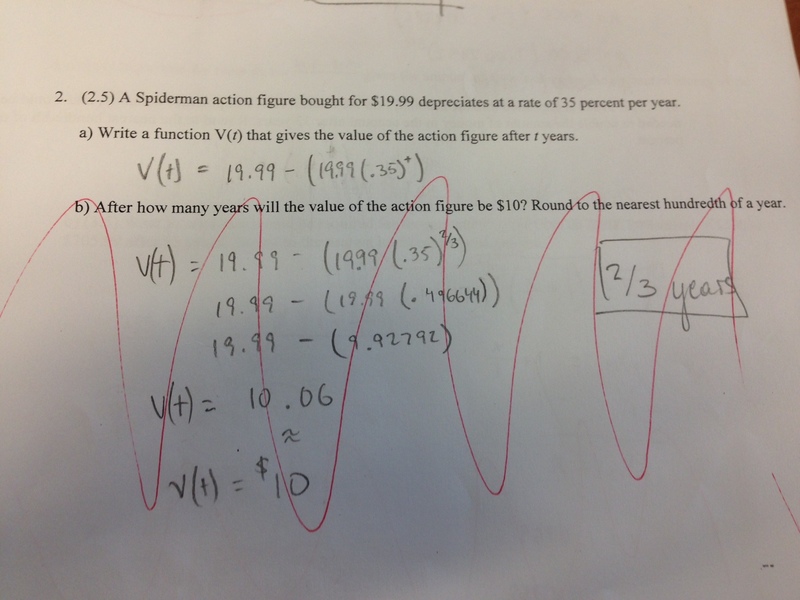 I think this 10th grader is saying .174>.34>.5. 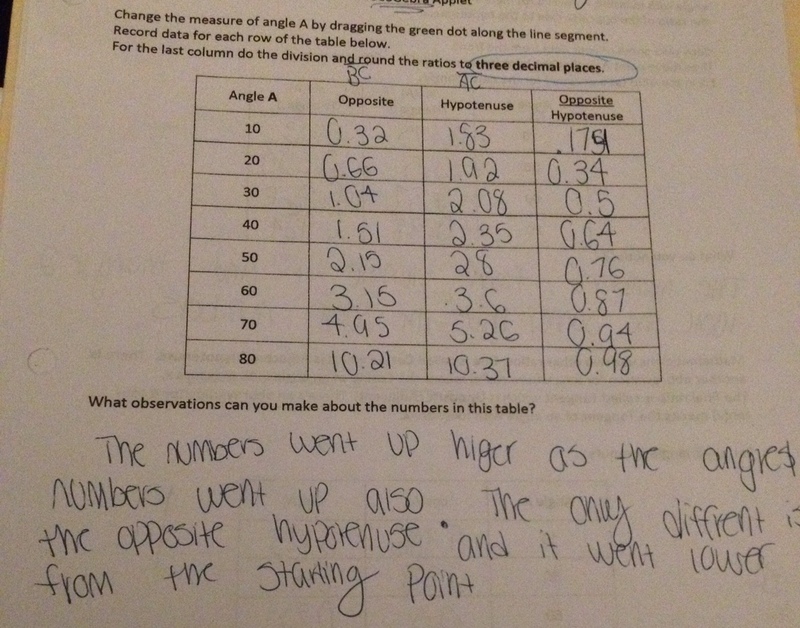 I wonder what she would have concluded if she’d followed the directions and rounded to 3 decimal places? Many kids were tripped up by the .5, maybe she’d say they were increasing except the .5? Do you agree with the submitter’s assessment? 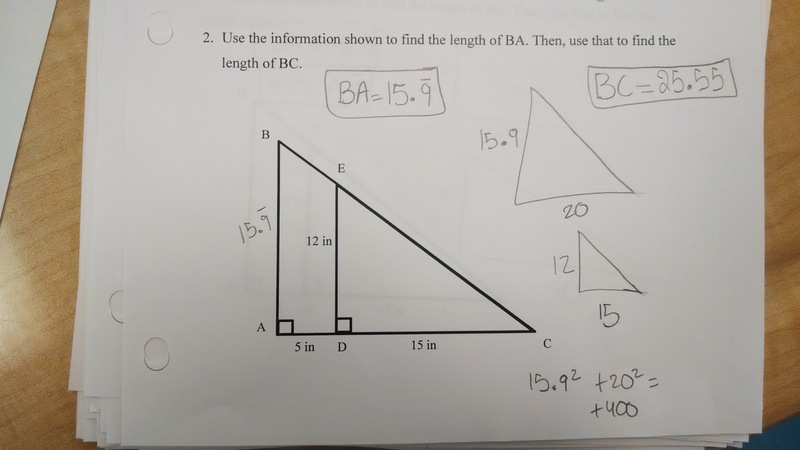 How do you help a student learning trigonometry nail this down? I think it’s important to say something more subtle than “this kid doesn’t understand decimals.” One thing that this site has documented is that kids can understand something at 1:00 and then do something entirely different at 1:01. It’s best to see this not as a failure of decimal knowledge, but maybe a failure to use decimal knowledge in this situation. 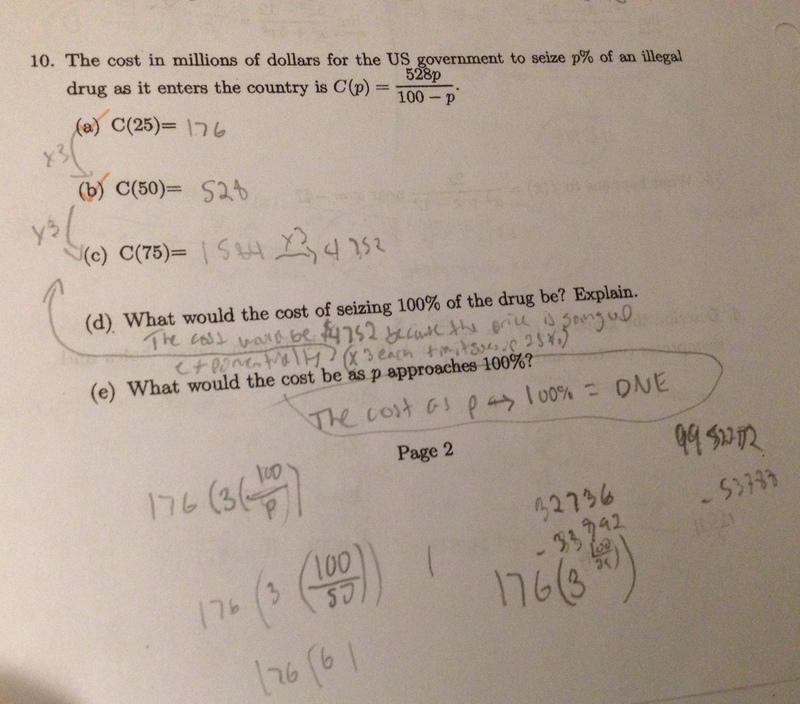 (Some people would say this kid’s knowledge of decimals in a certain context failed to transfer to this problem.) The difference is in how we respond. 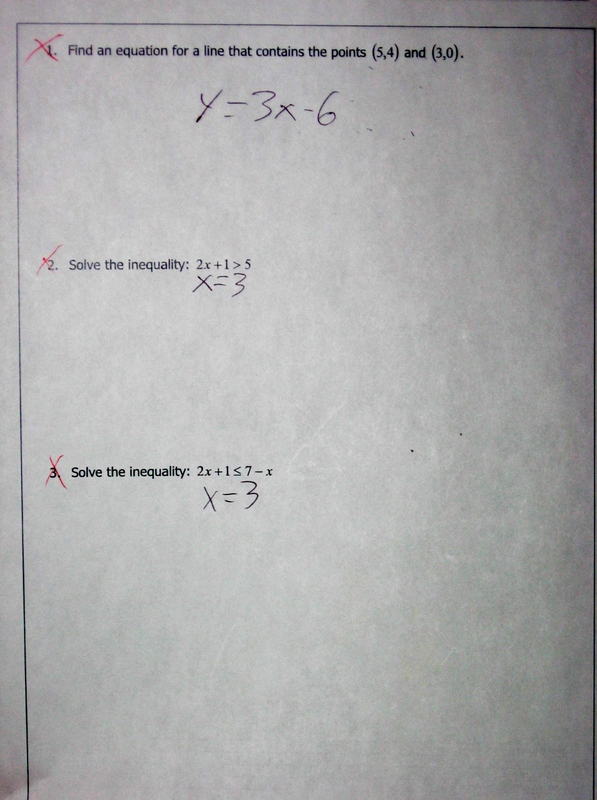 This kid probably doesn’t need the “basics” of decimals. We just need to make a connection to somewhere where she knows about decimals, I’m speculating. 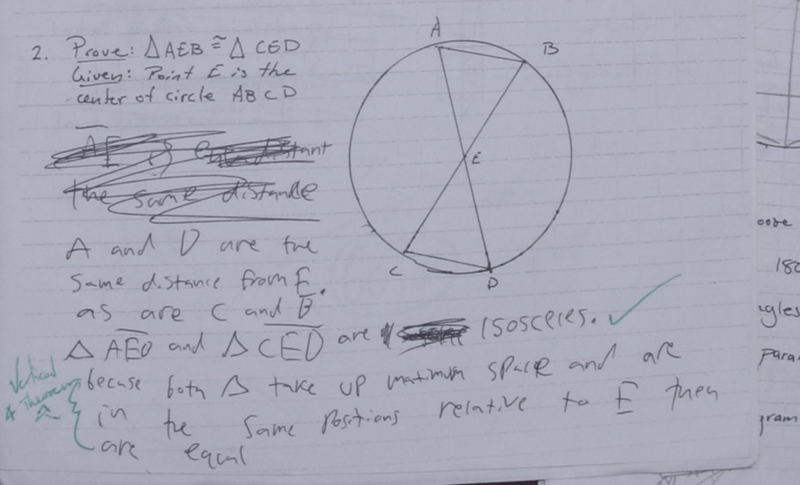 Posted in Decimals, Similarity, Right Triangles and Trigonometry, Trigonometric Functions. Did this kid just get excited by a coincidence? Or is there something deeper going on here? Posted in Exponential Functions, Interpreting Functions, Linear, Quadratic, and Exponential Models*, Rational Expressions. This is fairly representative of the class’ work. What would your next step be with this class? Posted in Pythagorean Theorem, Right Triangles, Similarity, Right Triangles and Trigonometry, Trigonometry.